Great movie, worth the watch. Good movie 👍. Interesting presentation..
Must watch this Movie. I have never seen such a movie like this. good one.. have that feeling in this movie.. wow.. BRILLIANT!!! ABSOLUTELY BRILLIANT!! ONE OF THE FINEST MALAYALAM MOVIES IN A LONGGG TIME!! THE SO CALLED "SUPERSTARS" SHOULD WATCH THIS MOVIE AND CONTEMPLATE THE QUALITY OF WORK THEY ARE DOING THESE DAYS, ESPECIALLY MR. MAMMU!!! Great Movie. Good acting, story n' plot. Superb and touching movie... Hero's acting was special..
Great movie! Thrilling till the end! Joju has nailed it! 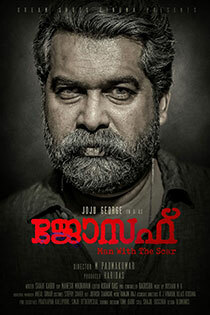 What a complete movie...Joju is brilliant...along with the supporting cast...to me, Dileesh Pothen stood out...amazing! Awesome movie , thanks to all these new teams , making the Malayalam film industry best in class these days . The moment we came out of superstar movies so many quality movies coming in our way.. way to go team .. thank you !! Super performance! Super Direction........goooood Movie. Well directed. Great acting. One of the best Malayalam thriller. Pace of the movie is slow . But apart from that it was a well scripted storyline. This is acting! Hats off Joju! NO words its too good!!!!!! Very good movie with a good story line. Could not understand the fate of his lover but over all it was a nice movie. watched it with my husband again today,although he didn't understand the language much ,thoroughly enjoyed and sat through the whole movie ( after Dhrishyam )! I don't find it as good as you guys describe it. great storyline, good script. A whistle blower. Well made movie... well written..
Well made! Good script. Well acted. Good narration. Very natural acting by all the star cast. Story unfolds in an organic way. The lead actor reminds me of Mohanlal, both facially and in performance(in my opinion at least, honest attempt was made). A quality movie. Well acted. Well directed. Superb background score. Very good performance. Nice movie. Is there any other movie similar to this? crime and investigation...? Malayalam movies never let you down-never insult audience intelligence. Very well made movie!! Good movie! Intriguing piece of work! Joju.. Rocks... Can some one suggest Joju's other good movies! Surprisingly so good! THIS MOVIE IS SO UNDER RATED!